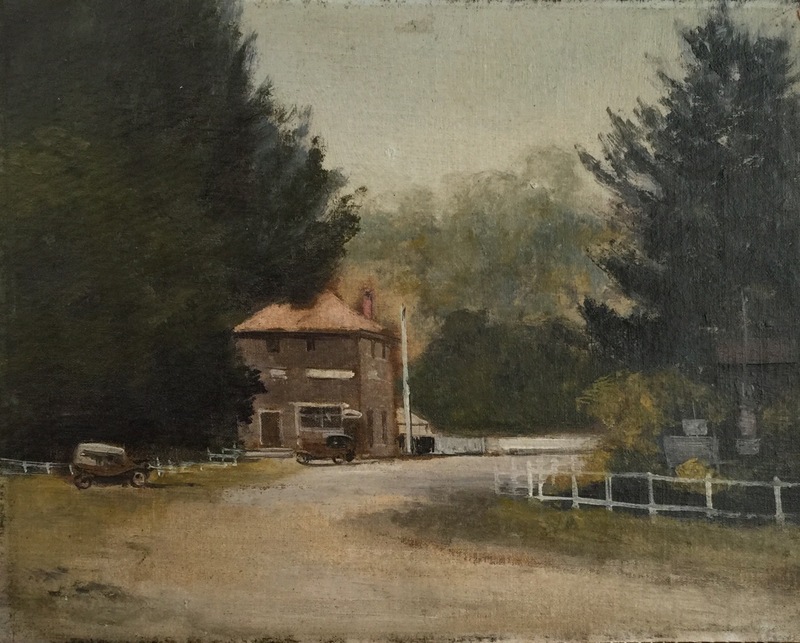 Clarice Majoribanks Beckett (21 March 1887 – 7 July 1935) was an Australian Tonalist painter whose works are featured in the collections of the National Gallery of Australia, National Gallery of Victoria and the Art Gallery of South Australia. Beckett was born in Casterton, Victoria, the daughter of Joseph Clifden Beckett (c1852-1936), a bank manager and his wife Elizabeth Kate, née Brown (c1855-1934). Her grandfather was John Brown, a Scottish master builder who had designed and built Como House and its gardens in South Yarra, Victoria. Clarice was a boarder at Queen’s College, Ballarat until 1903, before spending a year at Melbourne Church of England Girls’ Grammar School. She showed artistic ability, and after leaving school took private lessons in charcoal drawing at Ballarat. In 1914 she went to Melbourne’s National Gallery School, completing three years of study under Frederick McCubbin before continuing her studies under Max Meldrum, whose controversial theories became a pivotal factor in her own art practice. In 1919 her parents moved from Bendigo to the Melbourne bayside suburb of Beaumaris and, with their health failing, Beckett assumed household responsibilities that virtually dictated the structure of the rest of her life, severely limiting her artistic endeavour. Beckett could only go out during the dawn and dusk to paint as most of her day was spent caring for them. Beckett is recognised as one of Australia’s most important modernist artists. Despite a talent for portraiture and a keen public appreciation for her still lifes, Beckett preferred the solo, outdoor process of painting landscapes. She relentlessly painted sea and beachscapes, rural and suburban scenes, often enveloped in the atmospheric effects of early mornings or evening. Her subjects were often drawn from the Beaumaris area, where she lived for the latter part of her life. She was one of the first of her group to use a painting trolley, or mobile easel to make it easier to paint outdoors in different locations. Max Meldrum once stated, “There would never be a great woman artist and there never had been. Woman had not the capacity to be alone”. It is believed this reflects the overall opinion of the period; Beckett was continually put down by the critics and sold little in her lifetime. While painting the wild sea off Beaumaris during a big storm in 1935, Beckett developed pneumonia and died four days later in a hospital at Sandringham. She was buried in the Cheltenham Memorial Park (Wangara Road) not far from another noted female artist, Mary Vale. She was only 48 when she died, the year after her mother’s death.